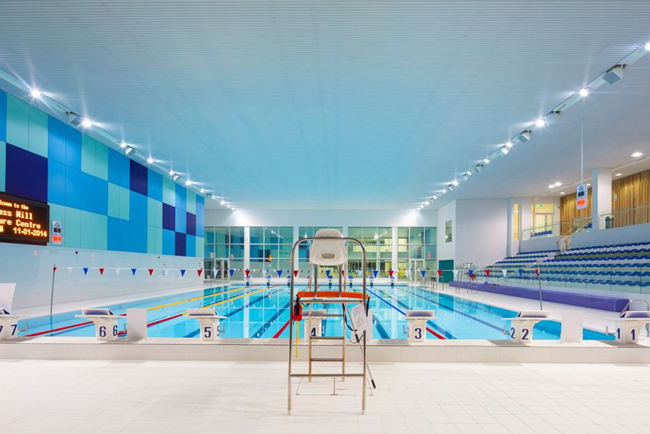 Swimming Pools have one of the most acoustically hard environments; wall-to-wall tiling only adds to the number of surfaces that sound can bounce off. Add the noise of swimming, talking and playing and the result can be a room filled with a throng of noises. A short reverberation time and minimal echo are vital to ensure speech intelligibility and safety in the event of public announcements. 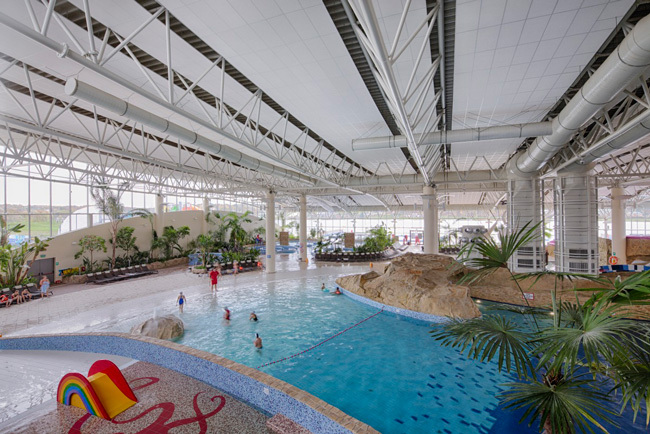 Swimming pools should provide an acoustic environment that allows people to enjoy their leisure time in peaceful and safe surroundings. We offer non-hygroscopic core materials that do not absorb water and moisture and prevent the build-up of mould on acoustic surfaces. 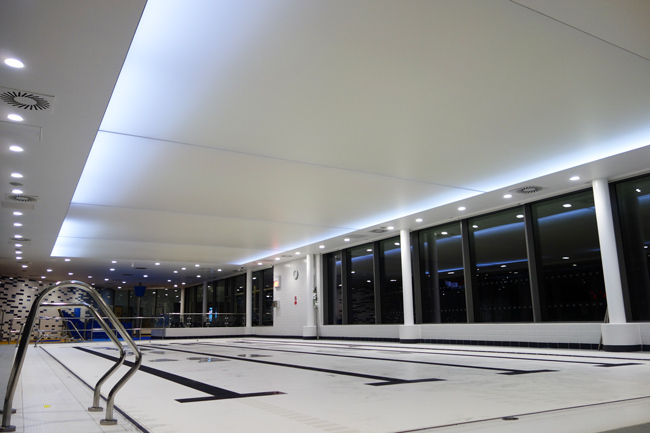 Acoustic surfaces in swimming pools are prone to sagging over time; we use Clipsol or Barrisol membranes in our acoustic solutions for swimming pools to maintain structural integrity with ageing. At Resonics, we offer acoustic products with 10 year warranty guarantees to safeguard against any damage.